Blog November 1, 2018 0 Milan A. Before we jump on the mail questions, we need to understand a few things. One of the essential facts is that not many people know what is an air purifier, let alone how they work. In general, people have ideal that the air purifier job is to clean air, but there is much more behind that job. There are numerous ways and methods of removing airborne particles from the air. Every air purifier is different, some of them use same technology while others are using a completely different approach at fighting the unwanted micro pest. 2 How Do Air Purifiers Work? 3 Are Air Purifiers Effective? One thing we know for sure is that air purifiers are needed. People with asthma, allergies or other vascular diseases can have problems solved or reduced by using an air purifier. Because of that, we see the most advanced air purifiers used in hospitals. With time, usage of air purifiers will grow because of the increasing pollution that is accumulating outside but also entering our homes. So let’s jump and answer the first question and that is what an air purifier is? The short answer would be that every device that is capable of eliminating pollutants from the air is an air purifier. 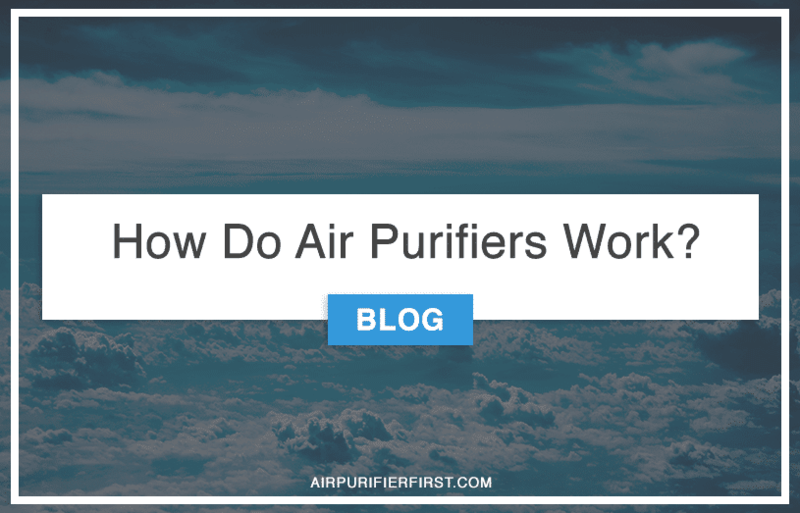 But in details, we need to say that we have a different type of air purifiers and each of them works on its own way, so let’s take a look at how do air purifiers work. The HEPA air purifiers are the best and highly recommend to all people, especially to the patients who suffer from any lung or respiratory problems. The air purifiers with HEPA filter are popular because this air purifier is sucking the air through a filter which can catch 99.97% airborne pollutants. This is a considerable number and actually all you really need. By only using a decent HEPA air purifier you can be sure that the unwanted particles in the air are gone. The only problem with this air purifier is that the maintenance costs are high, you will need to buy new filters periodically for maximum performance. You should never use vacuum cleaner or any other way to clean HEPA filter because that is not how this dense air purifier works. By trying to clean the HEPA filter, you will destroy the most essential feature of the HEPA filter, and that is the ability to catch almost everything in the air. Because of that always buy original HEPA filters for the particular model you are using. If you don’t have money for the HEPA air purifier, then you can afford ion generators. Ion generators are very popular cheap alternatives that can also remove many airborne particles from the air. Ionization air purifiers work in a much different way than the HEPA filtered air purifiers. In ion generators, the device release ions in the air, ions then get combined on a molecular level with tiny particles and by that making them heavier. These massive particles then will drop on the floor or hang on the wall. Some ionization air purifiers even have a special plate inside on which these particles are caught. Problem with ion generators is ozone. Ozone is a component that is always around us in almost non existent amounts, but the ion generators and other devices in your home may create levels of ozone that is harmful. Because of that, you should always look for a certified air purifier that uses ions to clean the air. Almost all HEPA based air purifiers have a carbon filter. The carbon filter is not presented in the air purifier to remove airborne particles. The job of the carbon filter is much different. The carbon filter is used for eliminating bad smells, odors, hazardous gases, and other gases. The technology behind carbon filter is coming from a gas mask. The gas mask is used in the military to prevent toxification by inhaling hazardous toxins that enemy may introduce in the air. When such highly advanced technology is used in commercial purposes, then you should be assured that it will work. UV light air purifiers are mostly used in exceptional circumstances. Apparently, these new technology air purifiers have the power of killing bacteria and viruses. Imagine your home free from viruses and bacteria. How nice that would be. The story behind UV light is also new, and the UV light itself is known as a killer of many things. But inside air purifier, you are perfectly safe from this light, and the only thing that will be killed are bacteria and viruses. The process of using UV light to kill viruses and bacteria is simple, inside the air purifier there is a particular bulb that emits UV light, as soon as the air purifier pulls the air through the UV light the germs, bacterias, and viruses will be killed and removed from the room. In general, it is better to have an air purifier than no purifier. But like in all other types of products, some of them are better than others. The least effective air purifier would be the one that uses ionization technology and nothing else. And if such air purifier is not certified, it may do more harm than good. The most effective air purifier would be the one that is certified, tested and approved. Such an air purifier should use all technologies, HEPA, ionization process, UV light and of course carbon filters. The size of an air purifier is important, if you place a small air purifier in a large room, the air quality will not improve by much. But if you put a large air purifier in a small room, you will notice the fresh air in real time. Because of that, we can say that larger, powerful air purifiers are more effective than the small air purifiers. But this does not mean that small purifiers should not be used, small air purifiers may be just the thing you need, they are affordable, attractive and ideal for small places such as offices. The size of the carbon filter is the key to remove all bad smells fast from the room. Carbon filter property is measured by its size, the larger the carbon filter, the more powerful it is. This not only means that the large carbon filter will remove smells and bad odors faster, but this also means that the lifetime of a large carbon filter is longer than it is for the small carbon filter. Air purifiers do work, and they have the power to keep your home clean from unwanted and dangerous particles. The amount of pollution will be soon number one problem all over the world, in big cities you can already see people trying to combat a lousy air with air purification, but the same things will happen in all parts of the world. Pollution is growing, and there are no signs that this trend will change anytime soon. Because of that, it is recommended to prepare your self by buying and testing air purifiers. Some models will work better for you than for the others, it all depends what kind of pollution you are fighting. Thankfully there are many models with all kind of price. The market is growing every day, and new technology is discovered that can help you clean the air even faster, mostly these technologies are based on special HEPA filter which is patented and branded by a specific company. If you are searching for the best air purifier, then you should look at that models. If you are just looking for simple, fast air refreshment, then a decent and certified ion generator will do the job.